Port Salut (pronounced PORE-sah-Loo) is a semi-soft, pliable French cheese with mild flavor. People love Port Salut, but most cheesemongers find it rather uninspiring. It is not a cheese that elicits poetry, but Port Salut is a reliably tasty cheese that is commonly sold in cheese shops and the dairy section of many grocery stores. We're talking about the modern-day versions of Port Salut that are made by large dairy companies. The bright-orange rind on these wheels is formed from a thin layer of wax or plastic and not the result of washing Port Salut in brine. Originally, beginning back in the 1800s, Port Salut was made by Trappist monks who named the cheese after an abbey in Brittany. Like many monastery cheeses, the monks made Port Salut for their consumption and their guests. Eventually, the monks began selling the cheese. Their Port Salut had a rind washed in brine. This washed rind gave the cheese a fuller flavor and natural orange-colored rind. Monks produced and sold Port Salut until the 1950s when the recipe and trade name was sold to a large dairy company. Today, mass-produced versions that are simply colored orange (or covered in orange wax or plastic) lack both the flavor and aroma of traditionally made Port Salut. 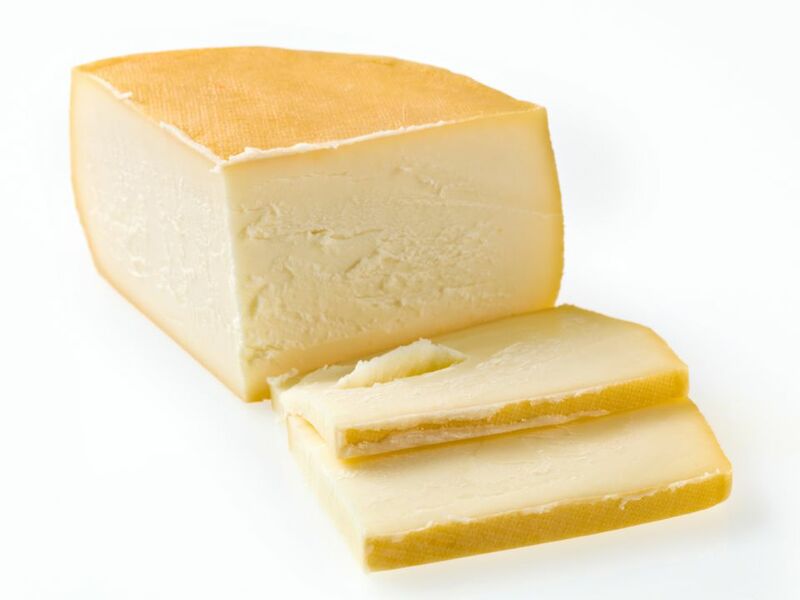 Most versions of Port Salut sold today have a mild and slightly tangy flavor, similar to American-made Monterey ​Jack. The texture is semi-soft and a little rubbery. Port Salut is frequently served with fruit and crackers. Because it is less expensive than most artisanal cheeses, Port Salut is often used as filler on a cheese platter, usually cut into cubes. Two European cheeses are very similar to Port Salut; Saint Paulin, which is considered a spin-off of Port Salut, and Esrom, a Danish version of Port Salut. Saint-Paulin is similar in flavor and texture to Port Salut. Esrom is also a semi-soft, moist cheese that melts well, but it has a slightly stronger flavor. It is sold to cheese shops in large rectangular pieces wrapped in foil. Under the foil, an orange rind that has been washed in brine gives the cheese a full, but not overly stinky, flavor. Danish Port Salut has tiny holes throughout. French Port Salut can be found in most cheese shops and many grocery stores, or you can try making your own Port Salut at home.